Ripley’s Believe It or Not! 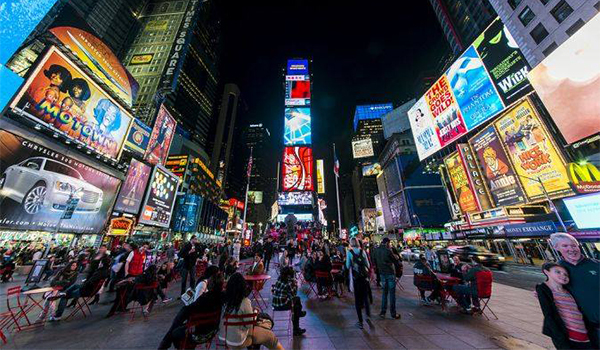 Times Square is one of New York City’s most beloved attractions and it just got even better. To celebrate the eclectic museum’s 10-year anniversary, Ripley’s is welcoming its newest oddity: an interactive exhibit that features an authentic New York New Year’s Eve Centennial Countdown Ball. Along with showcasing the 2007 Centennial Countdown Ball, Ripley’s Believe It or Not! will also have 12 of the iconic Waterford Crystal podiums from 2002 to 2014 on display. Touch them, photograph them, or have someone snap a picture of you standing beside one (who knows, you may even be able to fool a few friends into thinking you participated in one of New York City’s famous televised ball drops). The options are endless, and the crystal balls’ beauty is jaw-dropping—so be sure you plan a visit to Ripley’s this year. Is there anything better than experiencing Times Square’s famed history while in the heart of Times Square? We doubt it. The first ball drop occurred on December 31, 1907, making the tradition over a century old and a cherished part of New York City history. In 2007, the 100th anniversary of the ball drop, the Centennial Countdown Ball was made out of state-of-the-art Philips Luxeon LED lighting technology, replacing the previously used incandescent and halogen bulbs that had been the standard up to that point. 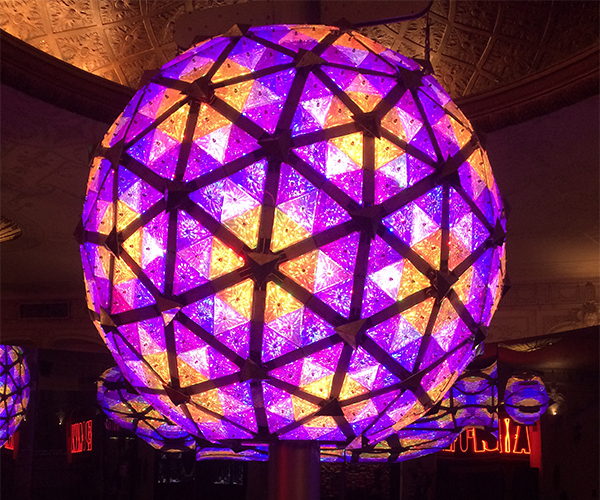 How Many People Visit NYC for the Ball Drop Annually? Ripley’s Believe It or Not! will be doing the public an enormous service by providing access to an original Centennial Countdown Ball and multiple Waterford Crystal Podiums, as roughly one million people are expected to attend America’s largest New Year’s Eve celebration in New York City every year. On top of that, another one billion people watch the televised ball drop each year from around the world, making up one-seventh of the planet’s entire human population! What Else Can You Expect to See? Remember, once you’ve checked out Ripley’s latest New Year’s Eve exhibit, there’s still plenty of fun to be had throughout the museum. 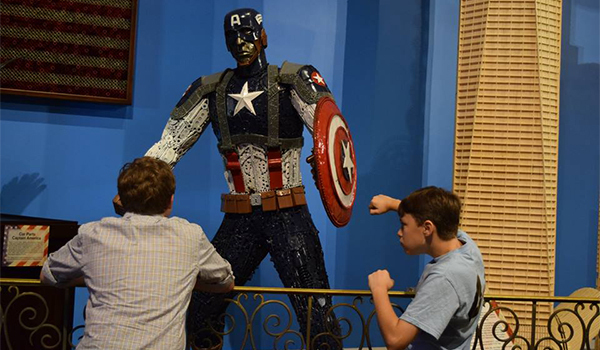 Over 500 exhibits and 20 galleries are on display at this “odditorium”, including a Captain America made from scrap metal, an authentic albino giraffe, a 19th century killing kit, a spinning vortex tunnel, authentic shrunken heads, and a decorated Tibetan skull. For more information, visit ripleysnewyork.com.